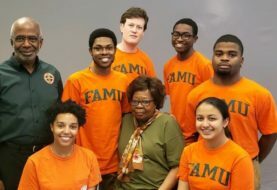 Just weeks after returning home from an acclaimed appearance in the prestigious Tournament of Roses Parade in Pasadena, California, the FAMU Marching “100’s” Director of Bands Shelby Chipman, Ph.D., was named president-elect of the Florida Music Education Association. The mission of the Florida Music Education Association is to promote quality, comprehensive music education in all Florida schools. The organization is a not-for-profit professional education association that serves and supports music education across Florida. Chipman also serves FAMU as a professor of music, teaching instrumental music education and conducting, and assisting with coordinating student recitals and student teachers. Additionally, he serves as director of the Pep Band, Wind Symphony, Symphonic Band and String Ensemble. Chipman completed his master’s degree in music education at the University of Illinois and received his doctorate in music education from the Florida State University College of Music, where he studied with Bentley Shellahamer. Prior to his appointment at FAMU, he taught music in the Miami-Dade County Public School system for 10 years. His band program at Miami Central High School developed into one of the finest band programs in the country. American singer, pianist, composer, arranger, producer and educator Darryl S. Tookes has joined FAMU as the director of the Institute of Music Research and Music Industries Studies. He recently performed at the prestigious International Jazz Festival of Havana in Cuba, a gathering of the world’s most notable jazz artists. In a career spanning more thanthree decades, Tookes has worked with Quincy Jones, Leonard Bernstein, Michael Jackson, Diana Ross, Roberta Flack, Sting, Aretha Franklin, Dionne Warwick, Burt Bacharach, George Benson, Luther Vandross, Nile Rogers, Al Jarreau, Natalie Cole, Carly Simon, Laurie Anderson, Ray Charles, Todd Rundgren, Christina Aguilera, Lionel Richie, and many other music legends. One of first African-Americans to chart in the Adult Contemporary category of Billboard Magazine, Darryl Tookes experienced pop success on his own terms as a songwriter, artist and producer in his formal introduction to the music industry with the debut of his self-penned classic “Lifeguard” reaching No. 3 on the Billboard Charts. He sees being recently named Director of the Institute for Music Research and Music Industries Studies at Florida A&M University as a continuation of this legacy. As an impresario, Mr. Tookes was founding Musical Director of Black to Broadway, presenting an array of African-American talents from legendary performers like Melba Moore, Jennifer Holiday, and Sheryl Lee Ralph, to emerging stars like Billy Porter, himself now a Tony Award winner. Among Mr. Tookes’ former students are many of today’s Broadway stars. 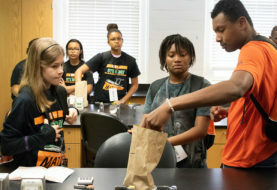 Florida A&M University (FAMU) student Kiffani Zackery has been named a finalist in the 2018 PepsiCo Game Changers competition. Launched last year, the Game Changers Competition challenged students to submit their best innovative ideas for PepsiCo. The competition called for applicants to “invent the ideal customer experience in the world of digitization.” Zackery submitted a two-minute video proposing an app that would digitize the snack experience and connect snack enthusiasts around the world. Entries came in from across the United States, but five stood out. Zackery, along with four other winners, is headed to Atlanta to see firsthand how innovative ideas are brought to life by the trailblazing PepsiCo team members in and around Super Bowl LIII. Kiffani is actively involved on campus and around the Tallahassee community. She is a member of the Omega Xi Chapter of Alpha Kappa Psi Professional Business Fraternity, Incorporated, where she currently serves as the chapter’s Activities Chair. She has volunteered with the Tallahassee St. Jude Walk/Run for two years and is wrapping up her year of service as Miss Black Tallahassee U.S. Ambassador. 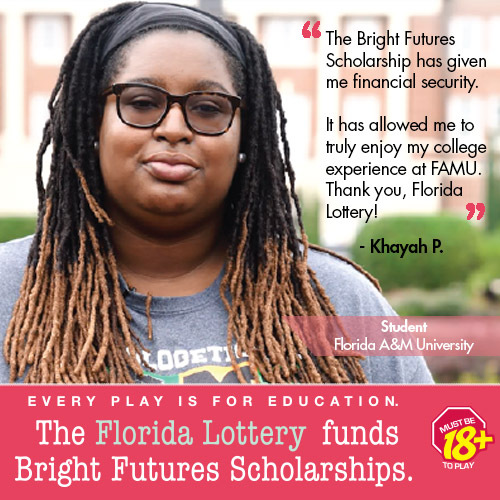 She is a Master of Business Administration Candidate scheduled to graduate from FAMU’s School of Business and Industry in May 2019. 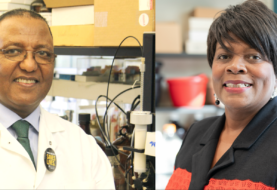 Viniece Jennings, Ph.D., and Valerie Newsome Garcia, Ph.D., were recently selected as JPB Environmental Health Fellows by the Harvard T.H. Chan School of Public Health. The program aims to develop the ‘next generation of multidisciplinary and agency leaders who are dedicated to solving complex environmental health problems.’ Their cohort of 15 professionals represents distinguished early-career scholars from across the country. Jennings is a native of Decatur, Georgia and received her doctorate of Environmental Science from the School of the Environment. Her research explores the link between urban green space and social/environmental determinants of health. She is the lead author of a forthcoming book on Urban Green Spaces Public Health and Sustainability in the United States that will be published by Springer this year. In 2017, a foundation in Atlanta selected her as a Hidden Treasure for ‘Women of Excellence in Science.’ Prior to her current role as a research scientist at the U.S. Forest Service, she interned at the White House Council on Environmental Quality under the Obama Administration. As a JPB Environmental Health fellow, she will continue to explore how nature relates to social determinants of health. 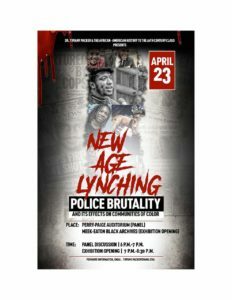 Newsome Garcia is an assistant professor in the Department of Medical Education at Morehouse School of Medicine. She holds bachelor’s and master’s degrees in psychology from FAMU and a doctorate in Biobehavioral Health from Penn State. Her research focuses on the environmental, social and structural determinants of health in underserved communities. Newsome Garcia also holds an appointment as research assistant professor in the Center for Healthful Behavior Change at NYU School of Medicine. As a JPB Environmental Health fellow, she will lead the Community Health Analysis in Gentrifying Environments (CHANGE) Study to understand the effects of gentrification on mental and physical health in New York City and Atlanta.